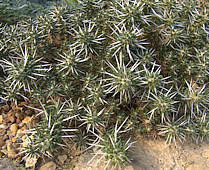 Austrocylindropuntia, Brasiliopuntia, Consolea, Corynopuntia, Cylindropuntia, Cumulopuntia, Grusonia, Maihueniopsis, Micropuntia, Opuntia, Pereskiopsis, Pterocactus, Quiabentia, Tacinga, Tephrocactus, Tunilla. Ariocarpus, Arrojadoa, Astrophytum, Aztekium, Blossfeldia, Calymmanthium, Carnegiea, Cereus, Cleistocactus, Copiapoa, Coryphantha, Echinocactus, Echinocereus, Echinomastus, Echinopsis, Epiphyllum, Epithelantha, Escobaria, Espostoa, Ferocactus, Geohintonia, Gymnocalycium, Hylocereus, Lepismium, Leuchtenbergia, Lobivia, Lophocereus, Lophophora, Maihueniopsis Mammillaria, Matucana, Melocactus, Neolloydia, Obregonia, Oreocereus, Pachycereus, Parodia, Pelecyphora, Pilosocereus, Pediocactus, Peniocereus, Rebutia, Rhipsalis, Sclerocactus, Schlumbergera, Selenicereus, Stenocactus, Stenocereus, Strombocactus, Thelocactus, Trichocereus, Turbinocarpus, Uebelmannia, Weingartia, Wilcoxia, Zygocactus and all other genera. The 20 species of succulent plants in this subfamily are shrubs and trees with persistent flat leaves, areoles with spine clusters and no glochids. 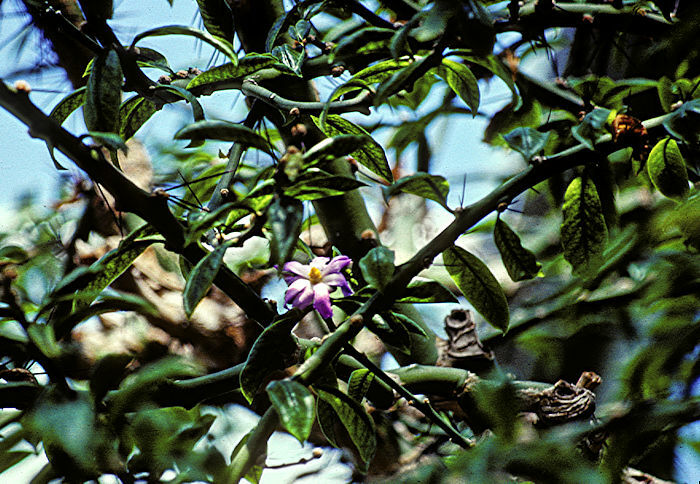 These plants are thought to be low down in the evolutionary tree of the Cactaceae. The two mat-forming species in Maihuenia with persistent rounded succulent leaves are sometimes separated into Subfamily Maihuenioideae. All species in this subfamily are native to central and South America. 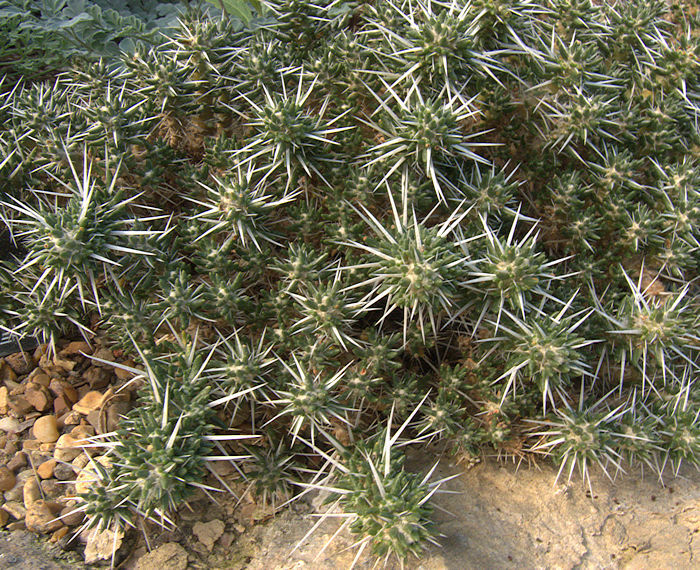 The genus Maihuenia includes two species of dwarf mat-forming cacti as the only members of Subfamily Maihuenioideae. 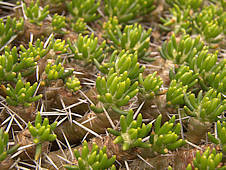 These succulent plants consist of short segmented cylindrical stems with small persistent rounded succulent leaves and typically 3 white spines per areole. Flowers in shades of yellow are produced near the ends of the stems and are followed by club-shaped fruits. Native to elevations from sea level to up to 8000 ft in the Andes Montains of Argentina and Chile. Maihuenia experience frost in their habitat and tend to be cold-wet hardy in cultivation, especially M. poeppigii. Photographed in the Alpine House at RBG Kew. Said to be the least hardy of the two species, so needs to be kept under cover. Photographed growing outdoors at RBG Kew. This is the most hardy of the two species and is the only cactus that consistently survives the English Winter outside in my own garden, potted up in almost pure granite chippings to ensure free drainage. 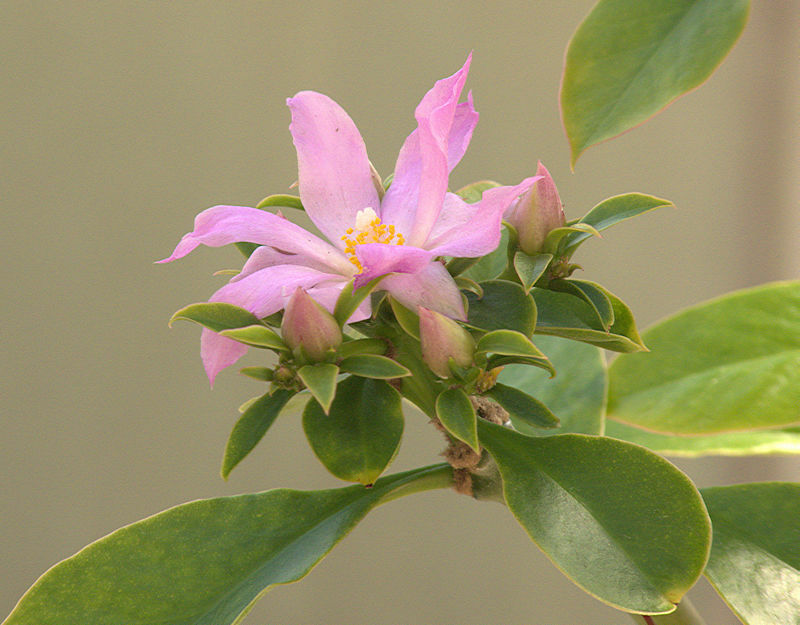 The genus Pereskia includes 17 species of tropical woody shrubs, climbers or tree-like cacti with thin stems and substantial, persistent non-succulent green leaves. A characteristic feature in common with other cacti are the clusters of spines originating from areoles. Roots may be thickened or even tuberous. Flowers are single and resemble those of a wild rose. It is thought that the primitive features of the genus Pereskia resemble those of a common ancestor to all cacti. Native to a range from Brazil to Mexico including the West Indies. 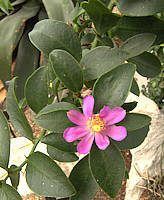 Pereskia is often used to make thorny hedges. 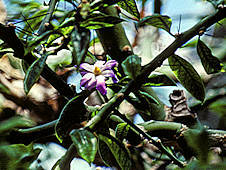 Pereskia aculeata has edible fruit (Barbados gooseberry) but may be considered invasive in some places. This cactus grows as a non-succulent tree or woody shrub with a grey-brown trunk up to 10 ft tall. The woody, branching stems have areoles bearing clusters of spines and brownish tomentum but also ovate, glossy, deciduous leaves on short petioles. Flowers resembling those of wild roses in shades of pink are freely produced at the stem ends. Native to dry tropical forests of North-Eastern Brazil. Pereskia grandiflora is grown for its showy flowers and also features in traditional medicine to reduce swelling and inflammation and as an anti-cancer remedy. 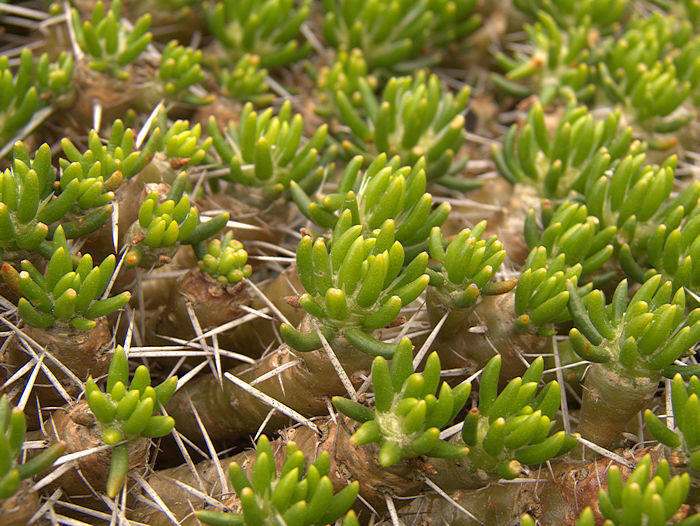 A shrubby non-succulent cactus with areoles bearing both spine clusters and glossy ovate leaves. Native to dry forests of the Andean valleys in Bolivia, at altitudes up to 6000 ft.